← All Aboard goes Mobile! Shock Horror!! Its a non bus posting!! Yes, Can you believe it! A blog posting not about buses!! Been back to the hospital Saturday just gone and it looks like the weekly blood tests have shown that this drug is starting to effect my liver like all the rest, But luckily no where near as bad as when I was using Methotrexate, So its been decided that I can carry on with the treatment but on a slightly lower dose of 40mg a day. Hopefully that will reduce the side effects but stop the Psoriasis from coming back. Unfortunately you can only take this drug for a maximum of six months in a row, which will mean my time will be up when I go back to the hospital in November. 🙁 Who knows what Ill be using then! IVA wise everything seems to be going smoothly, Have just heard from the IVA company this week that its time for my yearly Income & expenditure review and thats the first time Ive heard from them since last years review. Well shortly be into year 4! 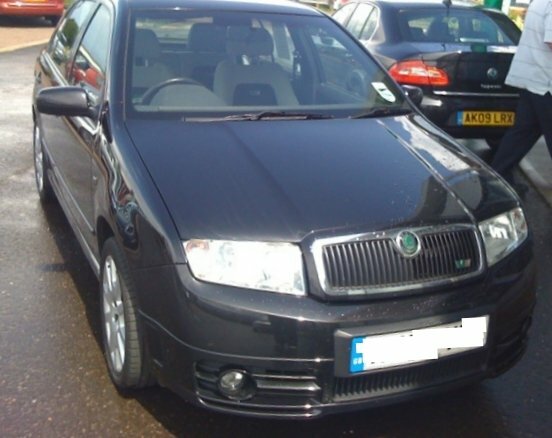 Hard to believe it really, 5 years seemed an awfully long time when I started it in 2006… Ive managed to keep to my payments, Infact Im actually paying in £340 a month instead of my required £275. I do expect the minimum payment to go up this year as Ive had two pay rises, But Hopefully not by too much! Going back to the current drug Im using for my Psoriasis, One other side effect is it can increase your cholesterol levels to dangerous levels, Which happened within about 3 weeks of starting it. Now my cholesterol level was far from wonderful to start with, 7.1 but it went upto a very nasty 10.8!! So I started a diet, That was at the end of March and so far Ive lost just under 6 stone (admittedly with the help of Orlistat) 😀 and my cholesterol level, Although not wonderful, is down to 5.9, Which I was told by my doctor is the average for this country. It also means I no longer have to take the Statin things with these tablets. (Which is good because Im not a very good pill taker). The only down side?! Well theres two, The first is if you have a lapse and have something high in fat then the Orlistat punishes you with, lets just say, very frequent visits to the toilet LOL. The second is having to keep buying smaller clothes! LOL and trying to get uniform at work is a struggle at the best of times, But when you keep changing sizes they aint best pleased!! hehehe. Ive changed my diet slightly to fit in with work as it suits me quite well as I like eating what I have, Which is a foot long Salad subway for lunch and a bowl of cereal for dinner, and my two treats are two packets of low fat crisps a week, and getting to eat whatever I fancy on a Sunday… Like I say it seems to work for me. Well I think that will do for a non bus update dont you think? 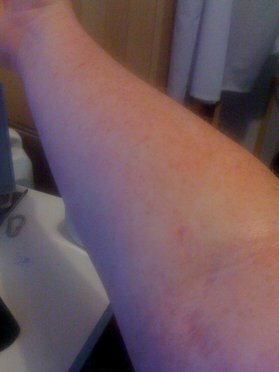 This entry was posted in Daily Life, General, home, IVA, Milton Keynes, Money Saving, Psoriasis. Bookmark the permalink. 3 Responses to Shock Horror!! Its a non bus posting!! Hi I found your website this evening and have enjoyed reading your bus postings and then saw your psoriasis category. I too have it and have tried both Methotrexate and had to come off it as it was affecting my Liver. Now I am on Acitretin and it is shooting my cholesterol through the roof too so I am on tablets for that. I think we started on it at about the same time but I have 2 more months before my next appointment. I have also spent time in Amersham Hospital Dermitology Ward. The staff are fantastic and not only do they help to clear up a lot of the Psoriasis with regular treatment you are also with other people in the same situation that really understand what you are going through and it is great therapy just to talk to them. I am currently on a course of UVA Light treatment which involves 3 visits a week to Amersham. Thankfully I do not work shifts so it is easy to visit. The difference it makes is amazing. My skin is clearing up really well and you get a really good tan that my colleagues in the Office are very jealous of. I know you have not made any comments for a few months so sorry if it has affected you but I thought you might like to know there are others that are going through the same as you.